Radiography technology innovator Arcoma has manufacturing partner Kitron test all the boards for its medical X-ray systems using XJTAG, before the boards leave the factory. This gives the assurance that each board received is tested and known to function correctly, before final system assembly begins, thereby helping Arcoma maximise productivity. The high-value circuit boards for Arcoma DR and DR-ready systems are assembled by Norway-based international EMS provider, Kitron. Arcoma subsequently performs system configuration, staging and final test at Växjö. Before shipping the assembled boards, Kitron applies a set of comprehensive tests to each unit using XJTAG boundary scan in addition to in-circuit test, functional test, and optical and X-ray inspection. For boards containing devices in BGA or chip-scale packages (CSPs), whose under-package I/O pins are difficult to inspect or test using conventional methods, boundary scan provides the only truly satisfactory means of verifying that the component has been soldered correctly with no open- or short-circuit faults at any of the connections. XJTAG’s role in ensuring complete confidence in every board delivered helps Arcoma to maintain a consistently high level of productivity at its Växjö site, avoiding delays and the relatively high costs that can be incurred if board problems have to be solved at a late stage during assembly of the system. Although XJTAG was chosen primarily to test connections to BGA devices, Jan Martens adds that XJTAG offers extensive and easy-to-use features at an extremely competitive price. Triacon, embedded design consultant and Scandinavia representative for XJTAG, helped Arcoma and Kitron ensure the system would meet their requirements. Boundary scan allows engineers to test assemblies using a single simple connector to the board without needing to probe individual signals or device I/Os, which is ideal for verifying BGA connections. Kitron uses XJRunner, which is an easy-to-use run-time environment ideal for performing boundary scan tests on the production line. XJRunner provides a clear graphical user interface that communicates test results, and also has features for recording serial numbers and monitoring board statistics and long-term trends. If a fault is discovered on a unit being tested, XJTAG’s layout and schematic viewers can be used to help to visualise and pinpoint the location of the fault, enabling rapid diagnosis and repair. “XJTAG’s ease of use and ability to test connections quickly, including those under BGA devices, has delivered a valuable boost to test coverage, ultimately helping us maximise production efficiency and quality”, concludes Jan Martens. XJTAG effectively streamlines system configuration and test, since our manufacturing partner is able to test each board fully before shipping to us thereby saving us testing boards ourselves. With the assurance that every board is tested using XJTAG and known to function correctly, we are able to begin integrating the boards into our DR systems as soon as possible after delivery. XJTAG’s ease of use and ability to test connections quickly, including those under BGA devices, has delivered a valuable boost to test coverage, ultimately helping us maximise production efficiency and quality. 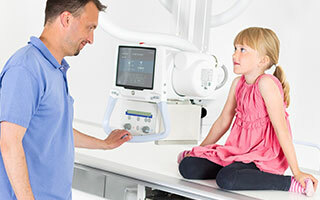 Arcoma AB of Växjö, Sweden, develops technically advanced Digital Radiography (DR) systems and subsystems for world-famous medical technology companies, and also markets its state-of-the-art Arcoma-IMIX range addressing a broad array of clinical needs at multiple price points.